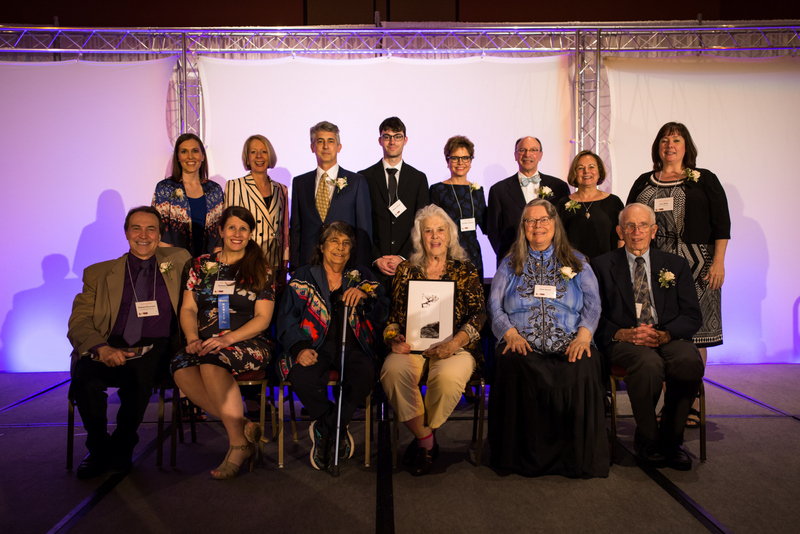 The Willa Cather Foundation was honored to receive a Governor’s Arts Award for Organizational Achievement at the Nebraska Arts Council’s celebratory event on May 8th. The biennial Governor's Arts Awards is Nebraska's premier event in recognizing individuals and organizations that shape Nebraska’s artistic landscape. The impact of the arts, and the honorees, is felt in the classroom, the economy and in the community. The Organizational Achievement Award is given to an arts organization that has demonstrated a consistently high level of excellence in programming and outreach. Founded in 1955, the Willa Cather Foundation embarked on an ambitious quest to promote the life, times, settings, and work of Pulitzer Prize winning novelist Willa Cather. For over 60 years, the WCF has met its mission through programming and outreach focused on education, preservation, and the arts. Almost a decade ago, the WCF dared to dream about renovating a long-forgotten historic building to create a living memorial to Willa Cather. This dream became a reality when the Willa Cather Foundation dedicated and opened the National Willa Cather Center in June 2017. This award-winning arts and cultural center is now adjoined to the WCF’s historic Red Cloud Opera House (RCOH) and contains a climate controlled archive, expanded bookstore, art gallery, exhibit space, study center, and expanded backstage facilities for the adjacent Opera House. The new National Willa Cather Center played host to former First Lady Laura Bush for its dedication and has been visited by over 8,000 arts enthusiasts and tourists year-to-date. The Center also received the 2017 Nebraska Preservation Award from the Nebraska State Historical Society and was recently named the 2017 Outstanding Tourism Attraction by the Nebraska Tourism Commission. Construction of the National Willa Cather Center was not only important to the growth and development of the Willa Cather Foundation, but to the rural community of Red Cloud (population 1,020). Since construction was completed in January 2017, the renovated building has had a transformative effect on the vibrancy and appearance of downtown Red Cloud through a community development strategy rooted in arts, tourism, and creative placemaking. Adjoining the National Willa Cather Center to the WCF’s headquarters at the Red Cloud Opera House has fulfilled a long-term goal of the WCF to combine a rich museum experience with ample opportunities to access art exhibits, workshops, and performances. Creative Placemaking is an evolving field of practice that intentionally leverages the power of the arts, culture and creativity to serve a community's interest while driving a broader agenda for change, growth and transformation in a way that also builds character and quality of place. The downtown revitalization efforts spearheaded by the Willa Cather Foundation in the last 17 years are perfect examples of creative placemaking at its finest. They have created high-quality and professional attractions to welcome visitors and residents alike for creative and educational opportunities, while combining additional public space for downtown living and new retail businesses. With the completion of the National Willa Cather Center, the Willa Cather Foundation has created a unique attraction that will only continue to strengthen the arts and tourism industry in Red Cloud and across Nebraska. Program offerings include art exhibits, concerts, theatrical productions, writing workshops, educational programs, guided historic site tours, author readings/signings, and much more. Each year, the WCF’s programs regularly serve thousands of area residents. They’ve hosted visitors from all 50 states, the District of Columbia, and from over a dozen countries outside the United States.